We tend to think of salads as summer fare. But, when the right combination of ingredients come together, salads can be hearty, comforting dishes that fit right in during the cooler months, too. 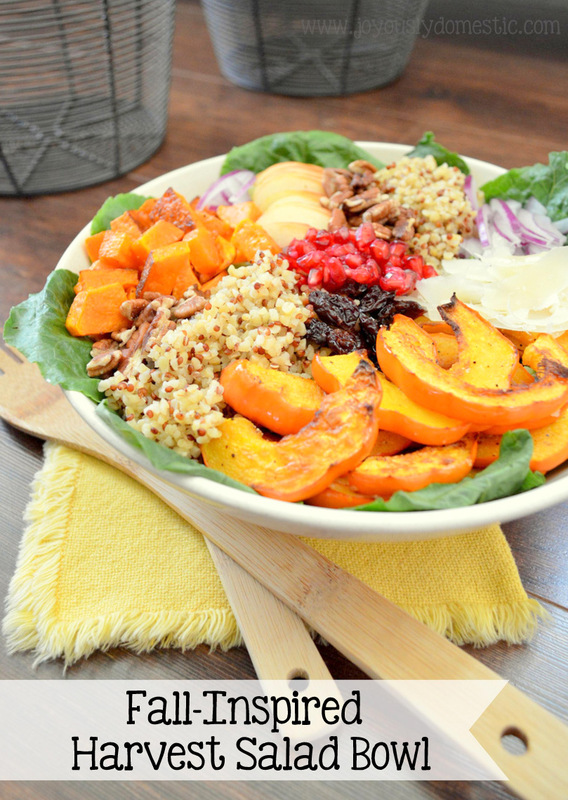 Perfectly roasted squash shines in this salad. And, I've brought together a blend of bulgur and red quinoa for a great textural element here. Crisp apple slices and several other amazing add-ins make this one over-the-top salad. Of course, some sliced, grilled chicken would be fabulous in this salad if you're so inclined. Preheat oven to 350 degrees. Line a large baking sheet with foil or parchment paper. Place cut squash in an even layer onto baking sheet. Drizzle with olive oil. Sprinkle with salt and pepper. Toss to coat squash evenly. Bake for 30 minutes or until squash is tender and slightly browning. Remove from oven and allow to cool slightly. Meanwhile, place chopped greens into a large bowl or onto a large platter. Arrange the cooked squash, quinoa/bulgur mixture, apple, pecans, onion, pomegranate arils and cheese atop greens. NOTE: Brown rice, wild rice, wheat berries or farro can be utilized in place of the quinoa/bulgur called for within this recipe.